French accent characters will appear correctly in citations. ** Citations will respect case sensitivity in the titles. 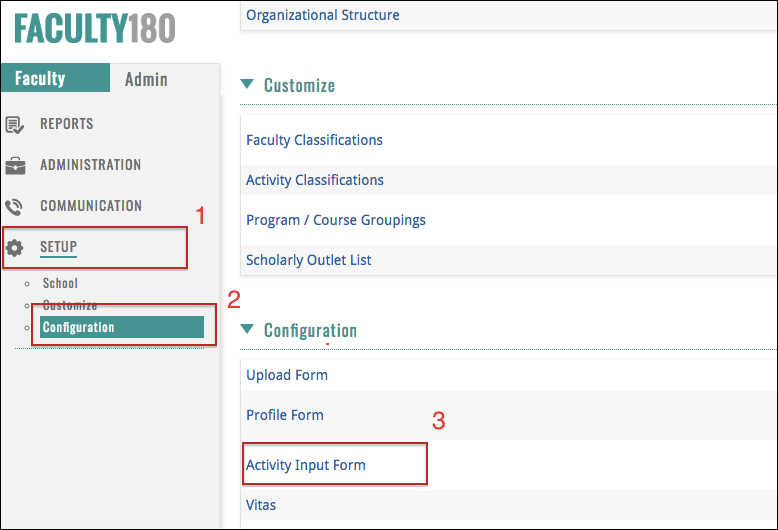 For security purposes a idle timer has been added to automatically log users out of FACULTY180 after a period of inactivity. * After 40 minutes of inactivity a user will be automatically be logged out. In an evaluation workflow step, a faculty response can be included. The faculty member is notified that he/she has X number of days to respond. * Text or an attachment already existed and there has been an edit to that entry. Drill down to select the Activity Input Form - edit the form. Select the"Disable Attachments'checkbox and then click the 'Save'button when finished. 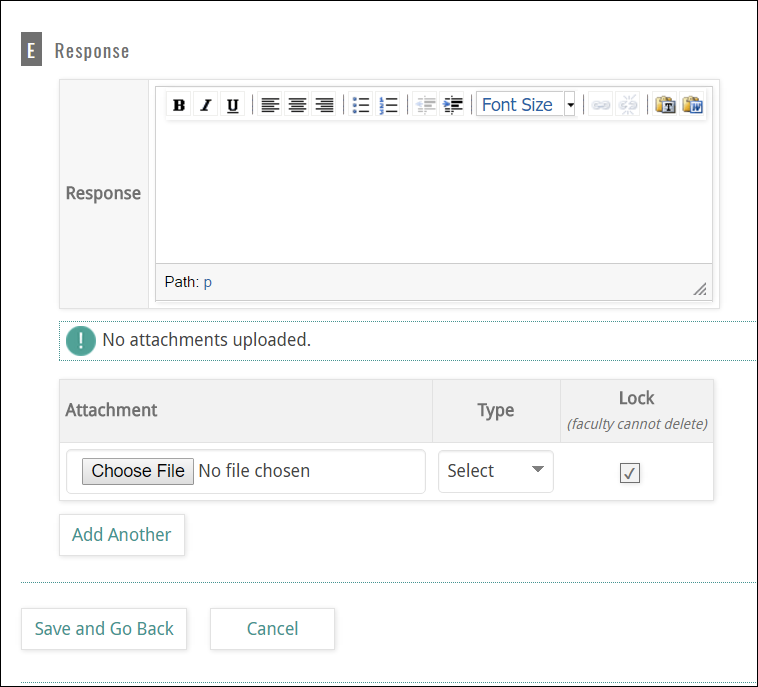 After saving, the form will no longer allow for the submission of attachments.